Republic Day is an occasion in India that is celebrated with great pomp and show on January 26th. It was on 26th January, 1950 when the Constitution of India came into existence, thereby declaring India as not only a Sovereign but also the Socialist and Secular Democratic Republic. “I feel that the constitution is workable, it is flexible and it is strong enough to hold the country together both in peacetime and in wartime. Indeed, if I may say so, if things go wrong under the new Constitution, the reason will not be that we had a bad Constitution. What we will have to say is that Man was vile,” said B. R. Ambedkar highlighting the importance of Republic DAY for India. Like him there are many more well know personalities who have put forth their opinions on the importance of this day which today serve as inspirational sayings for the youth. 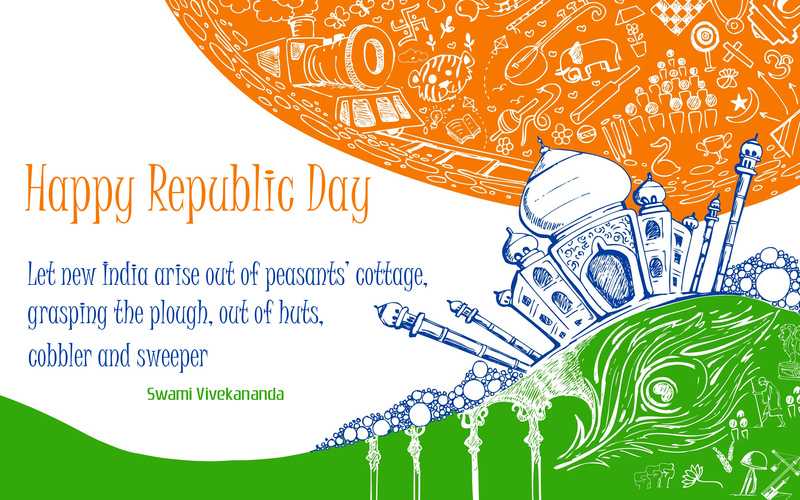 On this occasion we have for you some of the beautiful sayings that demonstrate the importance of Republic Day. Here are the top 10 famous saying on Republic Day of India. “It is impossible not to be astonished by India. Nowhere on Earth does humanity present itself in such a dizzying, creative burst of cultures and religions, races and tongues. Enriched by successive waves of migration and marauders from distant lands, every one of them left an indelible imprint which was absorbed into the Indian way of life. Every aspect of the country presents itself on a massive, exaggerated scale, worthy in comparison only to the superlative mountains that overshadow it. It is this variety which provides a breathtaking ensemble for experiences that is uniquely Indian. Perhaps the only thing more difficult than to be indifferent to India would be to describe or understand India completely. There are perhaps very few nations in the world with the enormous variety that India has to offer. Modern day India represents the largest democracy in the world with a seamless picture of unity in diversity unparalleled anywhere else.